This home offers a great open concept living area. The kitchen includes updated cabinets and appliances and the dining table can be easily stored to offer additional space and flexibility. The home also has a separate room where the kids can enjoy their own space away from the adults. The grassed backyard offers plenty of room to relax, BBQ or play. 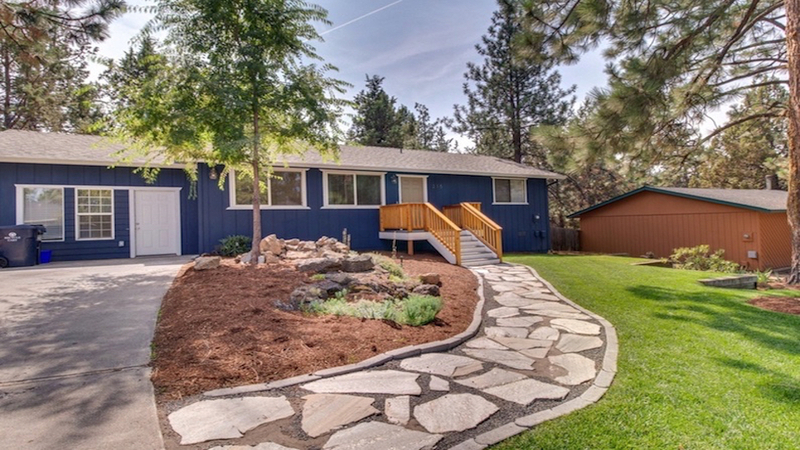 The home is on a quiet dead-end street that is within easy walking or biking distance to the Old Mill District and the Deschutes River. The Old Mill district offers a wide variety of dining, shopping and entertainment options. The River Trail along the Deschutes offers access to the river and leads to Drake Park and Downtown Bend. Mt. Bachelor and all of its winter and summer activities are just a half-hour drive away.